The latest health research, gadgets and initiatives to help keep you in good health. The recent discovery by University College London researchers that a thinner retina is a clear sign of an increased risk of dementia could lead to regular eye tests being used to help identify those most at risk. This means suitable treatments could be prescribed at a more effective time to slow or stop the onset of the disease. 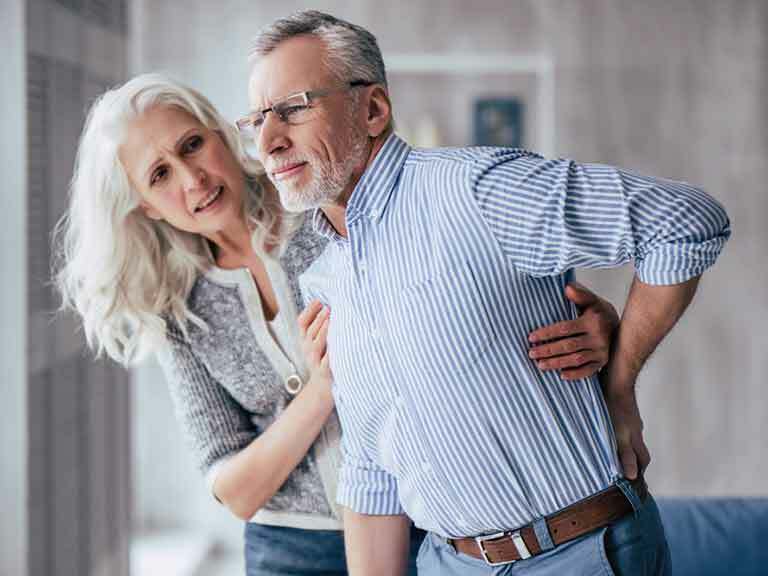 Our backs can start to give more gyp with the passing years, so it’s good news that back pain in older adults is the focus of this year’s Backcare Awareness Week, 8-12 October. For more on the causes, effects and how to manage pain, visit backcare.org.uk. Fitting in the recommended daily 30 minutes of moderate activity can be hard. Enter iPrescribe Exercise, a free app that analyses your lifestyle and health before prescribing a 12-week bespoke fitness plan to increase your activity levels gradually. Download it from the App Store. Don’t let the clocks going back on October 28th trigger a bout of the winter blues. Instead check out light therapy specialist Lumie’s new generation sleep/wake lights. Lumie Bodyclock Spark 100 features a 30-minute sunrise and sunset, adjustable sunrise light intensity, nightlight, auto-dim display plus tap-control snooze. RRP £75.00, Amazon. The days of fill and drill could finally be on the way out thanks to a new gentler preventive approach to NHS dental care currently being piloted. Including self-care plans and a thorough oral health check 97% of patients report feeling satisfied with their care. Meanwhile 90% of report lower or no change in levels of tooth decay and 80% lower or no change in levels of gum disease. Plans are to roll out the scheme nationally from April 2020. Far from being the lazy person’s answer to cycling, electric bikes can encourage us to get in the saddle as they take the sweat out of pedalling uphill or against the wind. But they can be expensive. Costing just £600 from Halfords, Victoria Pendleton’s best-selling Somerby Electric Bike is an exception. Available in a stylish electric blue it has a battery range of up to 40 miles and a pedal-assisted capacity of 15.5 mph. What’s not to like?